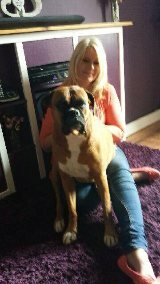 My name is Siobhan, I am a qualified REIKI MASTER treating people and animals. I have been close to Animals all my life and feel at home in the company of my special companions. Many years ago, I decided I wanted to help them with their well-being, after seeing sad and frustrated pets who often had problems without their owners knowing what was wrong. Reiki helps to heal the physical issues by giving energy to speed up the healing process and alleviates the symptoms of pain. It also helps balance the emotions so they may overcome their fears and reactions so their behaviour can change. Reiki heals the spirit. I specialise in Horses and Dogs/Cats, however I can perform REIKI on any animal and have had some outstanding results with other species. I also work with people and have had some excellent results (see guest book and testimonials). You can have your Reiki in the comfort of your own home. I come equipped with a professional therapy table, candles and lovely relaxing Reiki music. Reiki is wonderful healing for physical issues and emotional pain. It is such a relaxing experience, I have never worked with anyone who hasn't reported that they have felt benefit. They always have a great nights sleep afterwards, increased energy the following day and a feeling of peace and wellbeing. New treatment available. Reiki combined with Indian Head Massage. described as ''the most relaxing experience I have ever had''. LATEST NEWS.....ATTUNEMENTS LEVEL 1, LEVEL 2 and MASTER LEVEL NOW AVAILABLE!!! Animals seem to understand the power of Reiki and readily accept the healing. They have an exceptionally open mind and just accept the energy and the healing Reiki offers.